Flurry is a snowman who is melting from the head down. 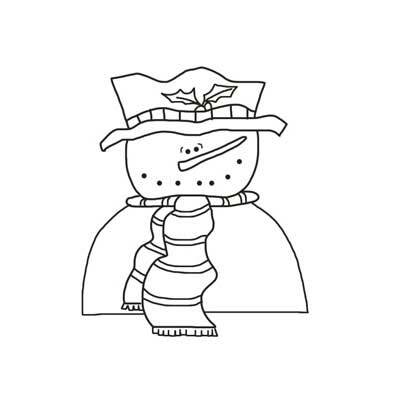 Free printable snowman stencil with a squished hat and winter scarf. Coloring, crafts, sewing.